As you can see here, being a dapper dude doesn't take that much the office. 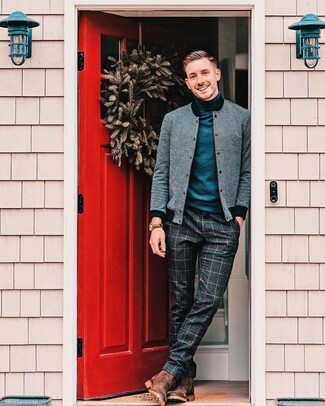 Just consider teaming a grey sweatshirt with JB Britches flat front check wool trousers from Nordstrom and you'll look incredibly stylish. Black canvas low top sneakers will add more playfulness to your ensemble. 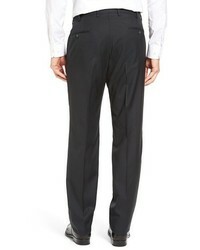 Choose a charcoal overcoat and JB Britches flat front check wool trousers from Nordstrom for incredibly stylish attire. Black canvas high top sneakers will deliver a more relaxed feel to your ensemble. 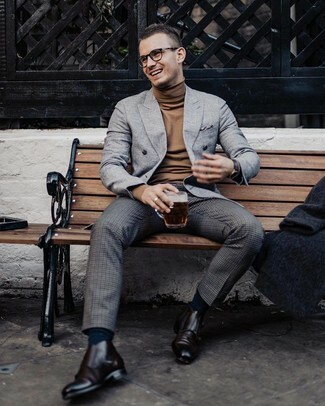 Go for a simple but refined choice putting together a grey bomber jacket and JB Britches Flat Front Check Wool Trousers. Introduce a pair of brown suede chelsea boots to the equation and the whole outfit will come together. 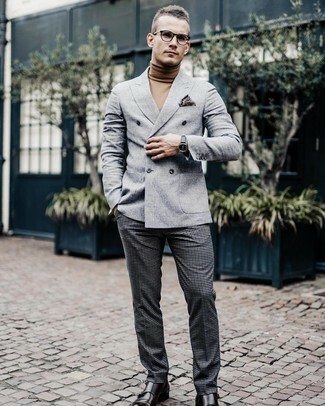 Pair a grey wool double breasted blazer with JB Britches Flat Front Check Wool Trousers for seriously dapper attire. Balance this getup with more laid-back shoes, like this pair of dark brown leather double monks. 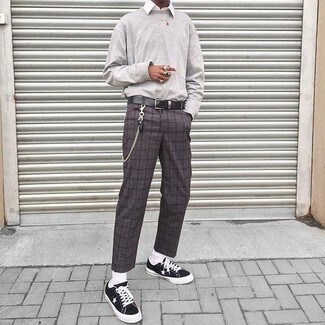 A grey wool double breasted blazer and charcoal check wool dress pants? 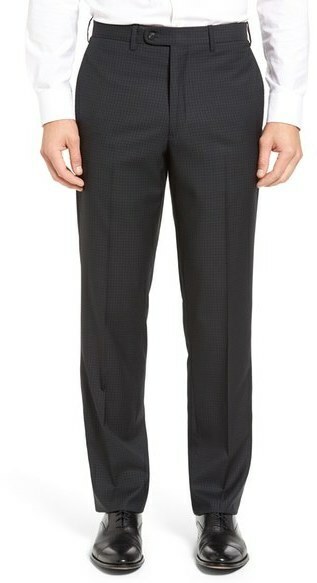 Make no mistake, this outfit will make ladies go weak in the knees. You can go down the casual route with footwear by sporting dark brown leather double monks. 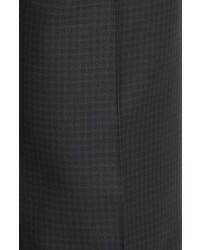 Try teaming a black overcoat with JB Britches flat front check wool trousers from Nordstrom for a classic and refined silhouette. For something more on the daring side to complete this outfit, opt for a pair of black leather derby shoes. 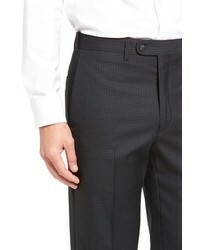 For a nothing less than incredibly stylish getup, pair a tan wool blazer with JB Britches flat front check wool trousers. 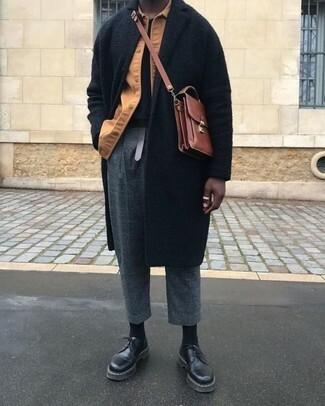 When it comes to footwear, this getup is finished off nicely with black leather double monks. 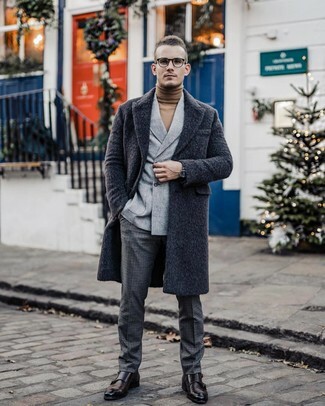 This elegant combo of a charcoal overcoat and JB Britches Flat Front Check Wool Trousers is a must-try outfit for any modern man. 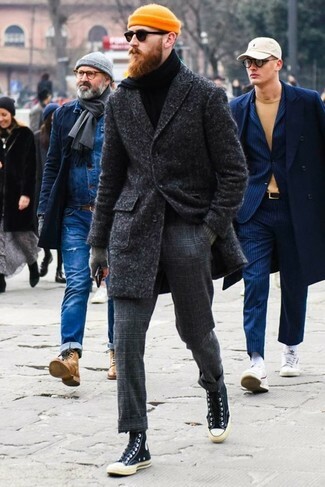 If not sure about the footwear, stick to dark brown leather double monks.